Young Achievers Awards 2018 Finalist: Samson Wambuzi! Yiya Cofounder Samson Wambuzi named as a Young Achievers Award 2018 Finalist! Join us as we celebrate our nomination in this year’s Young Achievers Awards as finalists in the category of business! 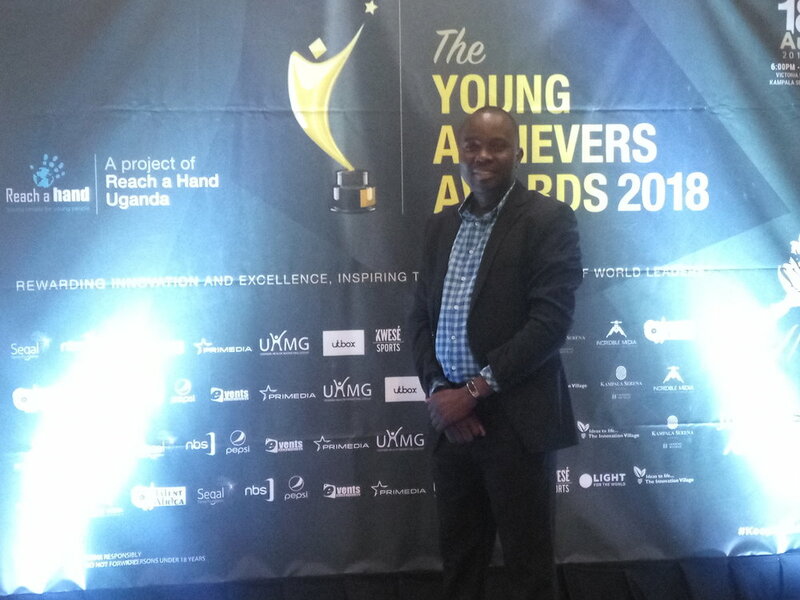 Yesterday evening Yiya co-founder Samson Wambuzi was officially unveiled in a glamorous gala at Serena Hotel Kampala, alongside the other 2018 nominees. It was so epic! Click here to watch the moment when we were being announced. social responsibility (i.e., how the innovation improves other people’s lives). We are so excited to see that our innovation is doing well in these criteria! Over the next two weeks, we will be making presentations before judges who will then select the overall winner in each category. Winners will receive their accolades in an award ceremony that will take place on August 18th at the Kampala Serena Hotel. We are hopeful that we will win, although we are the youngest organization in this category. Other nominees have been around for more than 4 years! The Young Achievers Awards (YAA) is a project of Reach A Hand Uganda, aimed at recognizing and celebrating outstanding youth in the Ugandan community that have excelled in various realms such as the Arts, Entrepreneurship, Media and Journalism, Philanthropy, Innovation, Sports among others. We are so very proud of Samson for being selected as a 2018 finalist...and we are excited to learn of the final award winners in two weeks. Well done, Sam! Older Post2018 Term 2 Lessons Update!